ON Semiconductor is a company that I’ve been watching very closely over the past year. Spun off of Motorola’s Semiconductor Products Sector back in 1999, the company has made a name for itself manufacturing power and signal management, discrete, logic, and other custom devices for a variety of industry applications. Lately, its influence is on the rise in the growing automotive electronics market (see my coverage here), where it is a top 10 global semiconductor supplier. Self-driving cars will doubtlessly be one of the most impactful technologies to come of age in the next several decades, and as such, I follow closely the tech companies that play in this area, but today I want to drill down on what ON Semiconductor is doing in the auto electrification market—it is an important space, and ON Semiconductor is a fascinating company. As automobiles become smarter and more capable, they utilize more and more advanced electrical components and circuits. The projected market for IC (integrated circuit) components is staggering—estimated by some to grow 12% each year by 2021. Meanwhile, it is projected that the overall global market for semiconductors in all vehicles will surpass $2.6 billion by the same year. 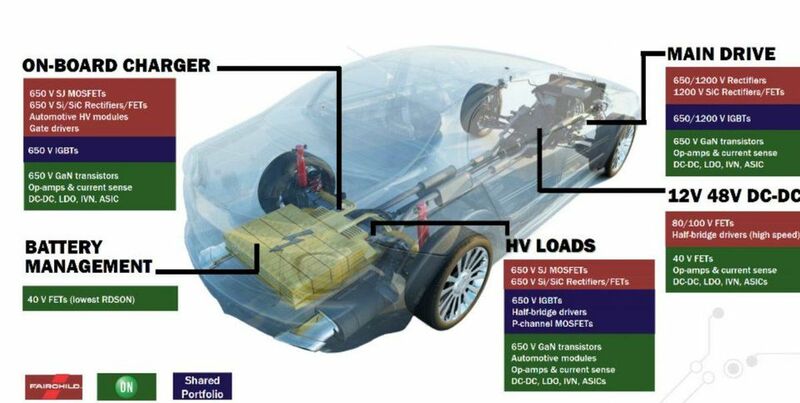 It’s important to note that these electrifications span many different kinds of cars, not just electrical vehicles—we’re talking cars with Internal Combustion Engines (ICE), Battery Electric (BEV), Hybrid-Electric (HEV), Plug-In Electric (PHEV), and Fuel Cell Electric Vehicles (FCEV). Next-generation vehicles, on their march towards autonomous driving, require several different kinds of sensors, including LiDAR, radar, and cameras, comprising the vehicle’s ADAS (advanced driver assistance system). These sensors gather data and feed it into a much larger processor (or set of processors) capable of making real-time decisions about what’s happening outside and inside the vehicle, and how the vehicle should respond. Cars have been using 12-V battery systems since roughly the mid-1950s, but they simply don’t pack the juice necessary to handle the heavier electronic loads of next-generation vehicles. Efficiency is a huge deal—the more “electrified” a car gets, the more efficient everything needs to be. Lower power efficiency means shorter range, longer charges, or lower performance. Without getting too technical, these power circuits convert AC power to DC power and convert different voltage levels of DC power (i.e. 48V to 12V). 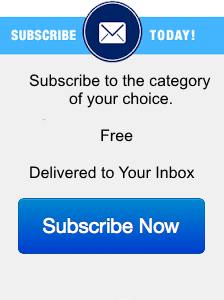 Literally, thousands of permutations at different voltages, amps, efficiency, desired electric flow, and packages are required to service the average HEV and EV. ON Semiconductor’s electrification portfolio is broad, covering many if not all bases. It plays in active safety and autonomous driving, connectivity, and in-vehicle-networking, LED lighting, fuel economy and emissions reduction, powertrain, and body and interior. What I really want to talk about today though is ON’s vehicle electrification portfolio. The company’s power products include IGBTs (insulated gate bipolar transistors), which are semiconductor devices comprised of three terminals with a wide range of bipolar current carrying capacity. These offerings include high power IGBT devices for traction drive applications, in the 650V-1200V range. ON Semiconductor also manufactures high voltage gate drivers (power amplifiers that take low-power IC input and produce high-current drive input for IGBTs or MOSFETs), and high voltage rectifiers, which convert AC into DC by only allowing a current to flow through it unidirectionally. Additionally, ON Semiconductor offers super junction MOSFETs—metal-oxide-semiconductor field-effect transistors. MOSFETs are field-effect transistors, typically made by the controlled oxidation of silicon, used to amplify or switch electronic signals. This is achieved via the transistor’s insulated gate—the amount of applied voltage determines the device’s conductivity. MOSFETs can be utilized by lower-power AC-DC converters, while higher-power three-phase chargers utilize silicon-carbine MOSFETs or IGBTs. For 48V Belt-Starter-Generator systems, ON Semiconductor offers both discrete and module-based solutions, in 80V and 100V levels. The company claims its TO-Leadless discrete MOSFETs have the lowest thermal resistance in the industry, available from 40V to 150V. In the realm of On-Board Charger and DC-DC conversion, ON Semiconductor’s portfolio features high voltage 600V to 650V SuperFET II/III devices, as well as low and medium voltage MOSFETs. For Electric Power Steering applications, the company also offers a line of standard three-phase power modules. Additionally, ON Semiconductor is focused on Wide Band Gap ( WBG) developments in Silicon Carbide and Gallium Nitride, which will be instrumental for next-generation solutions. Looking toward the future, ON Semiconductor is also making investments in advanced packaging methods, such as high power modules, and single/dual-sided cooled and dual-sided direct cooled packages. In order to meet the increasing electrical demands of next-generation vehicles, ON Semiconductor says it also expanding its high performance eFuse offerings from 12V up to the 48V range. Obviously, ON Semiconductor’s extensive portfolio is a crucial part of its strategy for success—the EV, PHEV, and HEV markets are growing exponentially, and ON Semiconductor has the right IP to take advantage of it. Another differentiator for the company is the systems expertise its Automotive Systems Engineers bring to the table at the company’s global Automotive Solutions Engineering Centers. The company also boasts a global manufacturing footprint that it says provides multi-source supply chain support for fabrication assembly, and testing. It’s also worth noting that while ON Semiconductor has kept a relatively low profile until recently, it actually has over 50 years of experience in the automotive semiconductor business (stretching back to its time as part of Motorola). ON Semiconductor’s product portfolio covers many bases in the growing auto electrification market, positioning it well as a leader in the sector. Electrification is growing in importance, as pressure to reduce carbon emissions, increase vehicle efficiency, and reduce fossil fuel dependency continues to mount. 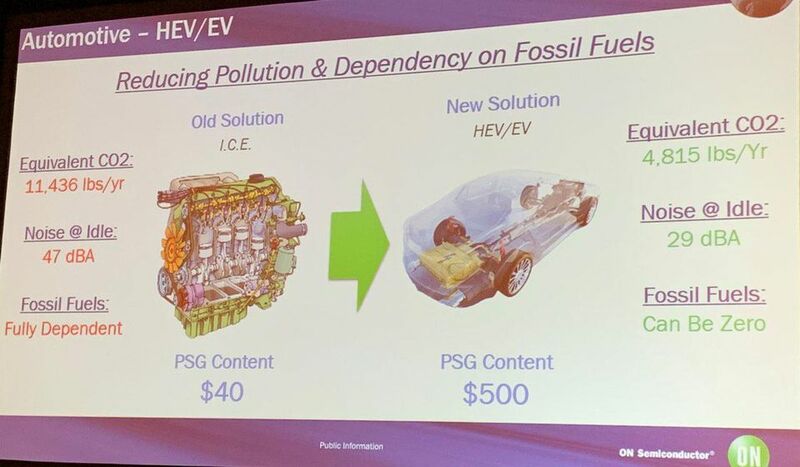 There’s a huge dollar potential per car for ON to take advantage of—while yesterday’s ICE vehicle contained maybe $40 worth of power content, the company estimates that tomorrow’s HEV/EV will contain as much as $500 worth. There’s nearly 100 million vehicles produced worldwide every year—you do the math. In short, there’s a lot of opportunity for ON Semiconductor growth here, and it looks like the company is taking all the right steps to take advantage of it. I’ll continue to monitor with interest.